Tim Love of the planning committee speaks about the images projected behind him during his presentation at the first in a series of forums about the future of the Essex St. pedestrian mall. It was held at the Salem Five Community Room. 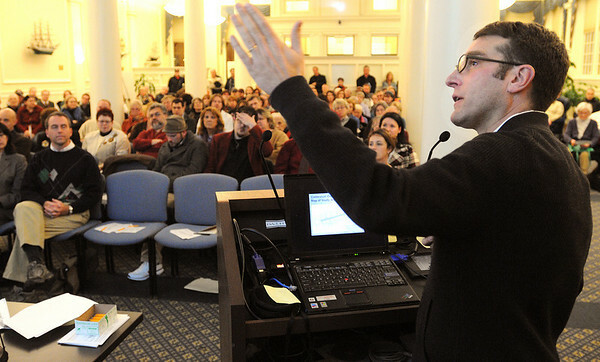 Photo by Ken Yuszkus/Salem News, Tuesday, January 11, 2011.